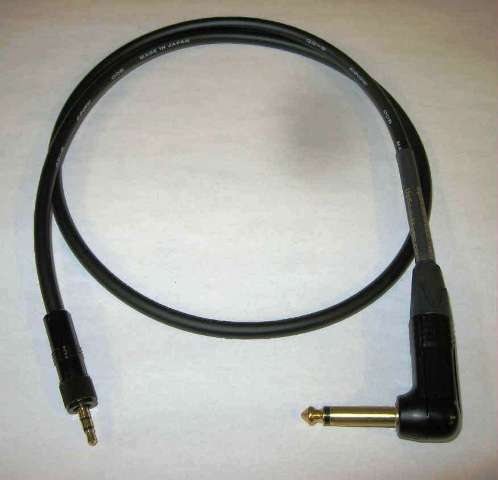 Mogami has been revered by Audio Professionals for years as the choice for recording and broadcast audio applications. It is the standard in Music Recording and Post Production facilities around the world. UpScale Music can now bring you Mogami instrument cables hand assembled in the United States. These instrument cables will add Harmonic Transparency to your interconnect path. Mogami W2524 uses a copper spiral shield designed to reduce interference from getting into your sound. Most musical instrument sound pick-ups such as those in electric guitars are comprised of high impedance circuits driven by voltage, in other words by very small electrical current flow. Therefore, so-called MICROPHONICS (noise) becomes a critical problem. (Microphonics means noise that is generated when the cable is moved and or tapped when the cabling circuit is a high impedance link.) Guitar cables must be counter-measured against this, so, a conductive PVC layer is placed under the shield conductor. We heat shrink our mechanical connections to provide reinforced strain relief points for the patented Neutrik strain relief system.